If you are interested in seeing some exceptional homes in Christchurch that have virtually NO POWER BILLS – come along to the Superhome Exemplar Homes Tour – every weekend in May. You can walk around each home and see for yourself what the future looks like! 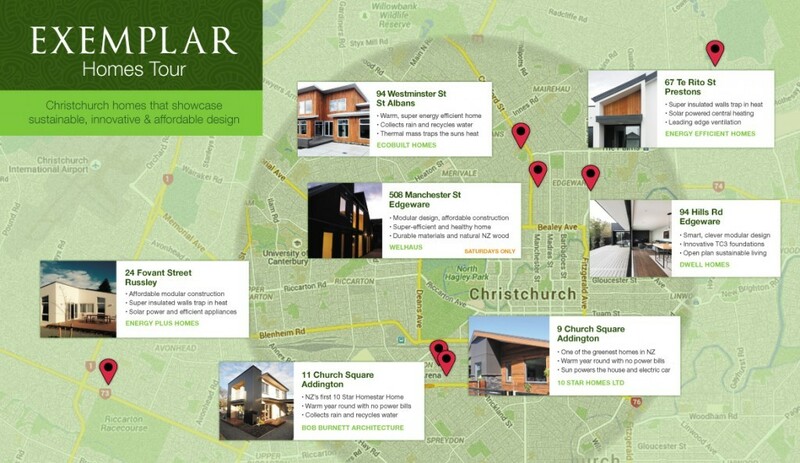 Seven of Christchurch’s most innovative & sustainable homes will be opened to the public in May to show you leading edge building options. The FREE Exemplar Homes Tour will allow people to see inside a selection of homes built to showcase sustainable and affordable design. Tour runs every weekend in May. No need to register; visit in any order you like.